BlueGrace Logistics helps businesses better understand and optimize their transportation programs by combining smarter analytics with advanced technology, committed service, and innovative freight programs. Our typical clients operate growing businesses with transportation functions that have exceeded internal capacity, access to technology, resources, and experience to effectively manage day-to-day transportation function on their own. Additionally, we assist clients looking to minimize transportation-related costs as a way to increase their market competitiveness. 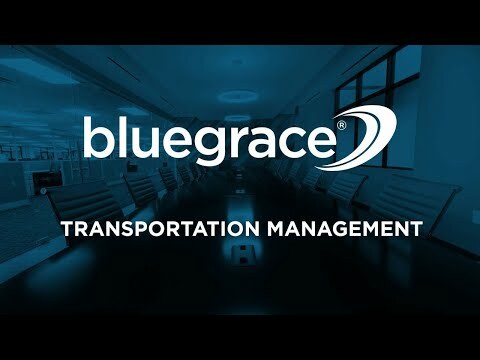 Founded in 2009, BlueGrace Logistics is one of the fastest growing leaders in transportation management services in North America. As a full-service third-party logistics provider (3PL), BlueGrace helps businesses manage their freight spend through industry-leading technology, high-level freight carrier relationships and an overall understanding of the complex $750 Billion U.S. freight industry. BlueGrace is headquartered in Riverview, Florida with over 60 corporate and franchise locations across the U.S.